There is one post tagged automation. 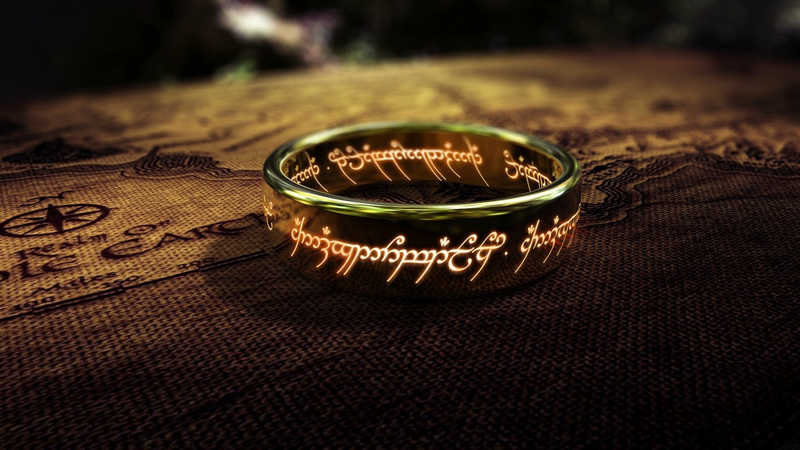 “One ring to rule them all…” The phrase from Lord of the Rings to define the one ring that can control everything including the other rings with magic power. Kind of a nerd intro, but it’s a good analogy to describe what is currently happening in the space of IT infrastructure automation. A few years ago every vendor had it’s own little product portfolio in which they excelled and made most of their money. Microsoft has Windows / Office, Red Hat has Linux, VMware has virtualization, etc. But as cloud popped up the game changed and everybody started to move into the same space: management and control of the IT infrastructure. With that move everybody needed (or is going) to expand their capabilities into terrain that was not their area of expertise. Every vendor is moving up or down the stack to get the most control over the IT infrastructure. It’s all about the control of the resources within the IT infrastructure and being the manager to control those resources. And as with all evolution it’s not the strongest, nor the smartest that will rise and will surface on top. It is the one that can adapt to it’s environment. As the data center is not comprised out of multiple vendor product, it needs to be a product that can integrate with all of them; old and new ones. 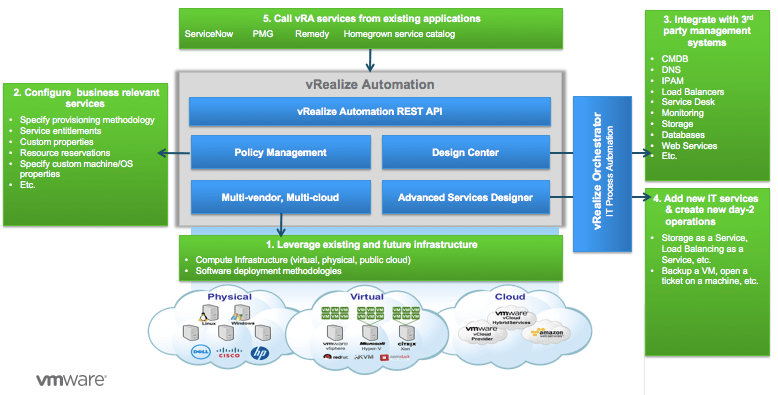 VMware’s flagship in automation and orchestration is vRealize Automation (vRA). But the engine that really makes this manager adaptable is the synergy it has with vRealize Orchestrator (vRO). vRO is the “glue” that makes it possible to connect all the data center components together and integrate them into vRA. vRA will then orchestrate whatever process (i.e. use case) that needs to be automated. vRA and vRO are the tools to link everything together. This does not mean that vRA/vRO replaces the orchestration of other management tooling of other vendors. vRA/vRO just becomes the central entity to govern, orchestrate and automate everything within the data center. One central tool to make sure that all your policies are applied with the IT infrastructure. It uses the capabilities of all the other managers to orchestrate the workflow to create IT services. In other words it becomes the manager of managers. Below you’ll find a picture of the integration of vRealize Automation with vRealize Orchestration and how integration takes place with all the other components within the data center. In the end it all comes down to integration and connecting all IT infrastructure services within the data center. vRealize Automation is the tool to provide that functionality and make sure that you can build a software-defined data center that can run any application.